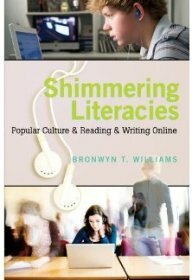 New Media Literacies and Participatory Popular Culture Across Borders – It’s out and about! It’s out and about. New Media Literacies and Participatory Popular Culture Across Borders is officially published. You can follow the link above or just click on the book cover to the left. It’s been a great experience, from the fine work by the authors to the ease of working with Routledge. Now to see if anyone else will read it. As always with a project like this, I get to the end and the people involved have just raised so many thoughtful questions that I find myself wishing to have the time to do another volume, and another, and…. But today, it’s enough just to say this book is out. Thanks to one and all.